Espanola Regional Hospital and Health Centre is a state of the art hospital that serves a population around 15,000. They recently renovated its 24-hour emergency department. The hospital is known for its great health care campus and is well respected by the surrounding health care facilities. The triage center planned to triple the size of their current space and increase the number of exam rooms. 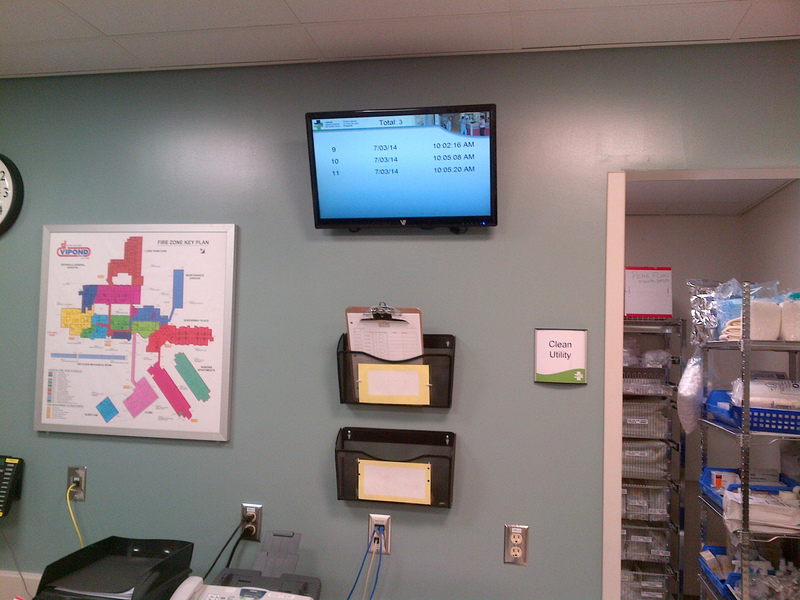 With this new facility they needed a solution to improve patient flow and manage the order in which patients were seen. Espanola Hospital wanted to accomplish this with an automated queuing system so their staff could focus on patient care without being concerned with the order in which patients are attended to. This would allow them to use their staff in a much more efficient manner. Espanola contacted Livewire Digital to see if we had an automated solution that would fit their requirements. It was obvious to Livewire that our eConcierge® platform’s self-service ticketing add-on could easily serve as a queuing system as well. 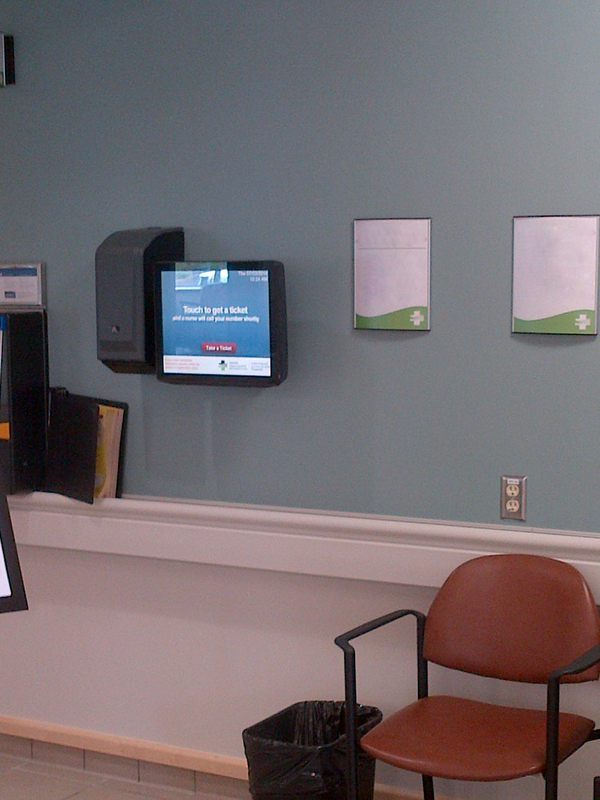 Livewire offered an interactive wall mounted kiosk with a printer that patients could easily enter their place in the queue. Once patients registered on the kiosk a queue ticket is printed and notification of their place in the queue is sent to the back office displays available to the triage staff. The staff, once the patient is seen removes them from the queue using one of the back office management stations provided by Livewire to manage the queuing. With this solution Espanola Hospital can now operate their emergency facility knowing all their patients are managed in orderly fashion.